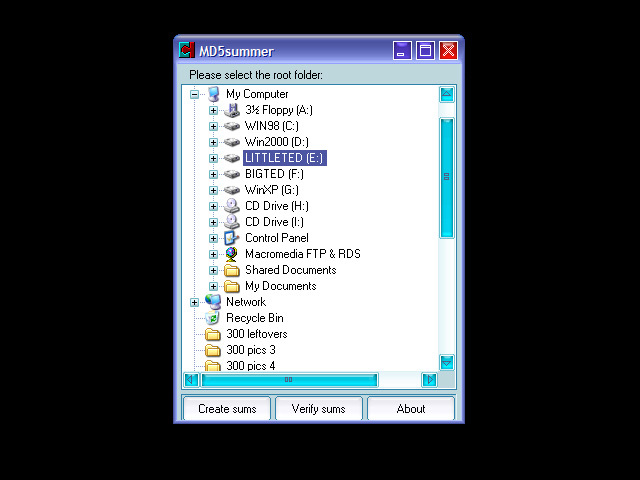 MD5summer is an application for Microsoft Windows 9x, NT, ME, 2000 and XP which generates and verifies md5 checksums. Its output file is compatible with the output of the Linux GNU MD5Sum and it will also read Linux generated files. It is released under the General Public License, the source can be downloaded from the downloads page (down the bottom). MD5summer is written in Borland Delphi 7. Source is available from the download page. The root folder selection screen, the first thing you see when you run MD5summer. The file/folder selection screen. You will only see this screen when generating sums. The generation/checking screen. 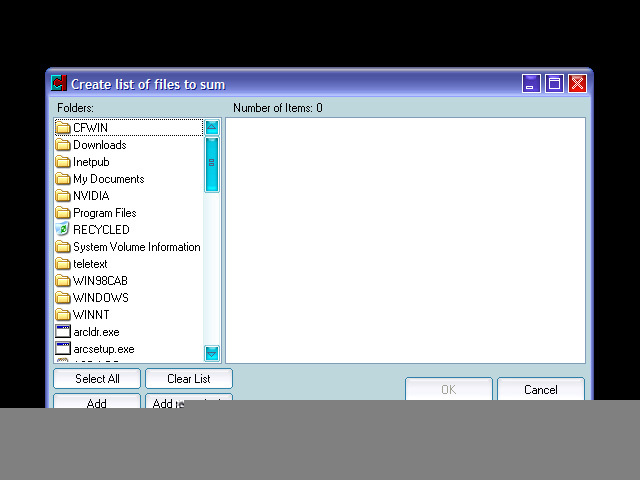 Shows you information about the file currently being processed, batch completion, elapsed time, checksums and status of files.